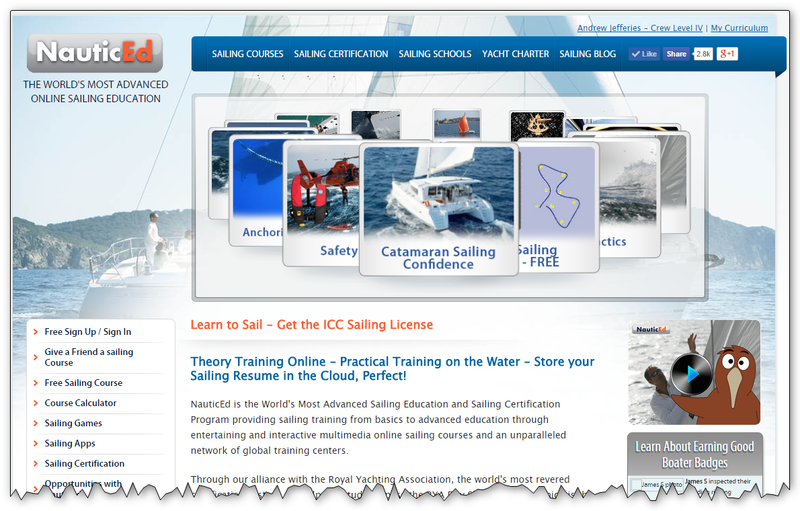 I'm always looking for ways to increase my boating/sailing knowledge. I've enjoyed doing instructor led courses through the Canadian Power and Sail Squadron but they don't always have the course selection that I want and the timing isn't always convenient. I happily stumbled upon NauticEd the other day. They have a variety of interesting looking courses available online. Some of the interesting looking modules include: Storm Tactics, Coastal Navigation and Weather. They also have a certification program that will get you on your way to an RYA certification or a qualification cert for bareboat chartering. I'm not sold on the certification usefulness at this point but regardless I think there are some useful looking courses. To try it out I did the free Navigation Rules Clinic. I was pleased with the course layout. It was easy to follow, the content was quality and it made a dry topic more palatable. They promised that everyone would take away something new from the course, even if you are experienced. I did! The test at the end of the course was 30 questions of multiple choice. My only critique is that some of the questions are set up so that a couple of the possible answers are jokes so you only really have to consider 2 possible answers. This make the test a bit more fun to read but doesn't really challenge you to consider the possibilities. I really like the graphics that they use on their course and test. They are clear and easy to interpret the situation. They have some video content but I wasn't as impressed by that. They preface each of their videos with canned marketing material that takes time and doesn't add value. The videos are also animated a little to fast so it isn't easy to follow what is happening without replaying them several times. The cost for the payed courses is in line with an instructor led course and I think if they are the same quality then they are worth while. 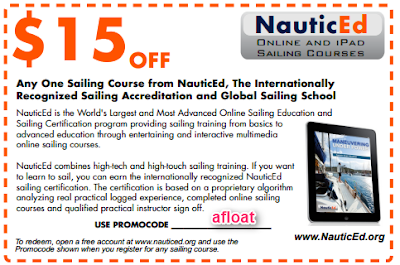 I'm considering doing the Captains Rank course that provides most of the content for under $400. Not a bad price for a winter's worth of content. I'll post on my decision and results.